Welcome back to the light and reflections series 🙂 Today, we are focusing on using light and reflections to explore Math and Science concepts for kids. 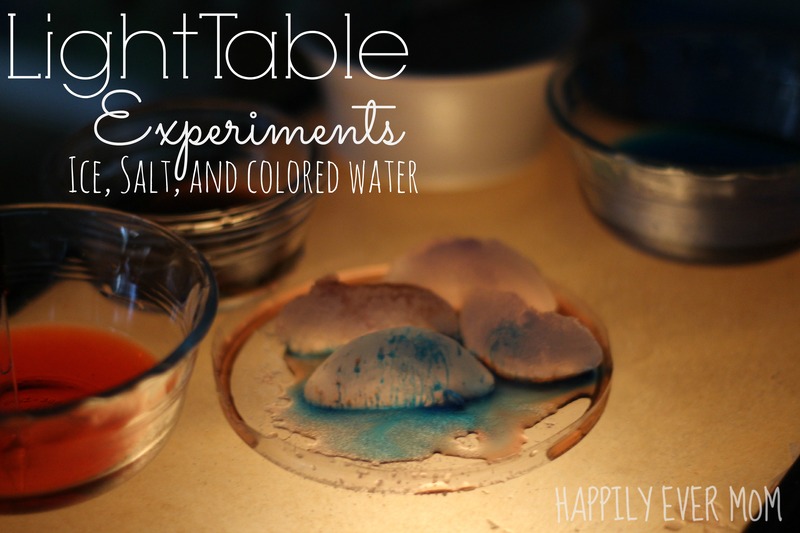 My daughter was completely in the driver’s seat as we experimented with ice, salt, and colored water on the light table! I was surprised that it became an art show as the colored water dripped along the salt and ice. It was gorgeous! I was reminded of using ice and salt from Little Bins for Little Hands. You can see the original post here. I loved that Sarah extended the activity by using the ice for art. It got me thinking: How would this experiment work on the light table? For us, it worked out so lovely! 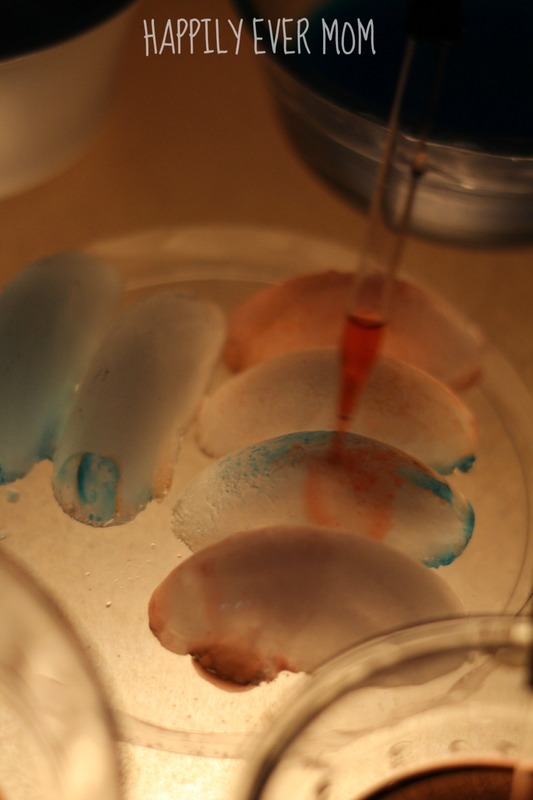 Plus, we had a little fine motor work as my daughter put food coloring on the ice with eye droppers. Light Table <— aff link to our favorite light panel! 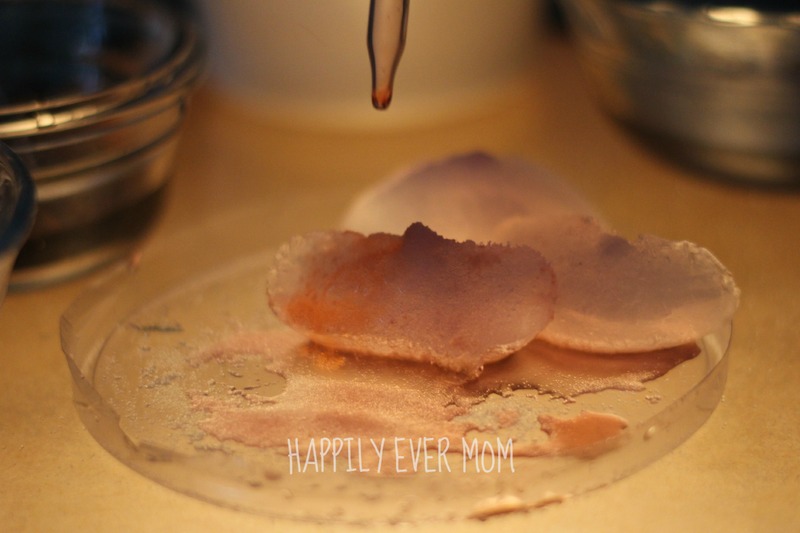 Even though we used water on top of the light table, I was comfortable with this experiment because my daughter is very cautious with the materials that we use. I wouldn’t recommend this for younger children or for children who aren’t used to using these materials. I stayed close so that if any water spilled, I could clean it up quickly. I also knew that L was ready for this because we had been using eye droppers and colored water all week so she could handle using them without major spills. L wanted to dowse every piece of ice in colored water first. She loved watching the colors mix together. She and I were enthralled with this experiment. We barely said a word as we watched the colored water cover and move over the ice. Then, my daughter started to dump scoops of salt on top of the ice. This is when she started to jump up and down which is always a sign of success when we do an activity together. 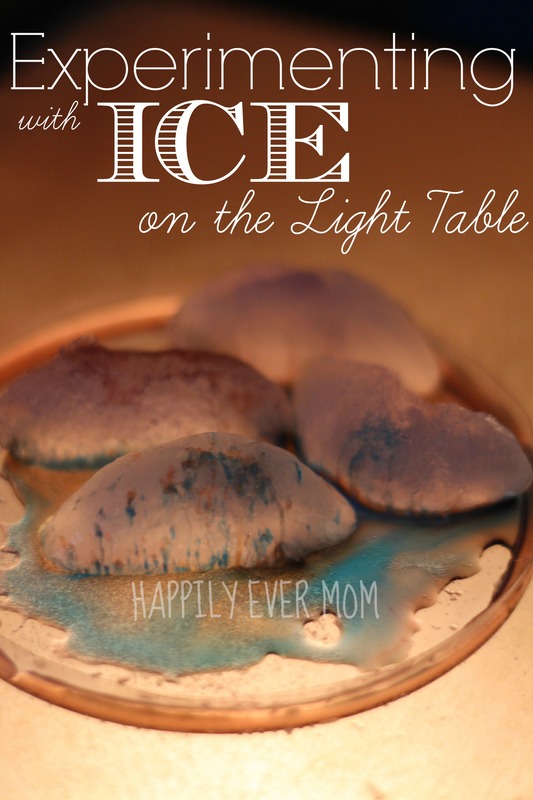 She asked for more salt and reached for the eye droppers to flood the salty ice with colors. After dumping loads of salt onto the ice, L said, “Look at the water, Mom. It’s salt water! We’re making salty ice! !” I loved her observation. Now, I’m sure some of my family members will correct me on this, but I was a little disappointed that the salt merely sat on the surface of the ice. My understanding is that salt will sit on the surface when the ice isn’t cold enough, but hey, we live in California – what are you going to do? Nonetheless, the salt made pockets and grooves for the water to slide down so the colored water really became the star of the show. You can see the streaks of color on the ice in this photo. When Lil started to add the blue water, I stared at the ice and observed how gorgeous it was. Can you see that beautiful blue? We both spent more time just observing and noticing the bits of color that had pooled on the ice. It really was a mix of science and art with the light table illuminating the whole experience. I hope you’ll join us next week when we explore using light and reflection with letters and writing! 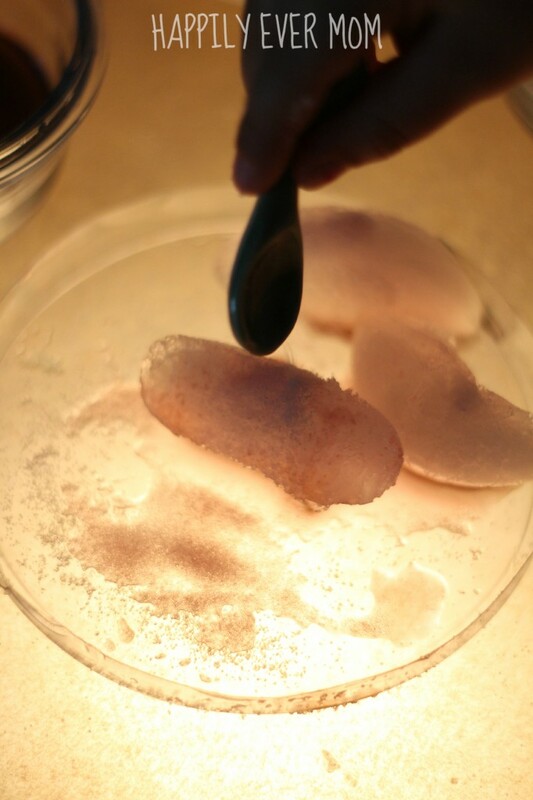 What is your favorite science experiment with kids? What a great idea! I know my preschooler would love this! Thank you for sharing Kate! That looks really cool. Thank you for mentioning us. The light table really takes it to another level. Thanks for the inspiration, Sarah. My daughter loved this so much! I know – I was worried about it, too. But, there was surprisingly little clean up!